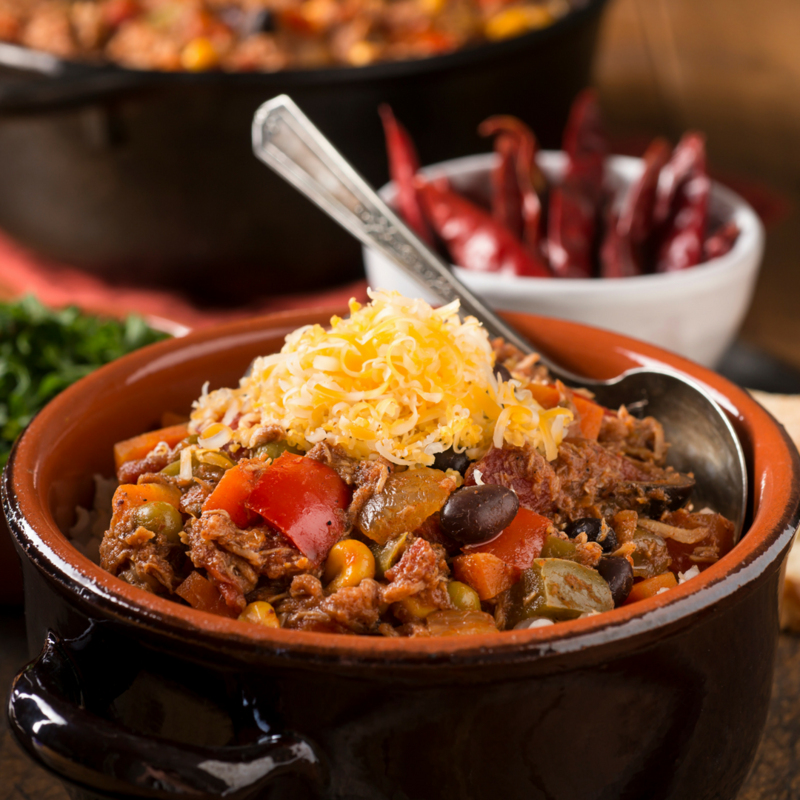 Tasty and spicy, this chilli is made with 100% Northern Irish beef. It's sure to be a crowd pleaser. Fry the onion and red pepper in olive oil over a medium heat for 10-15 mins or until softened. Increase the heat, add the chilli powder and cook for a few minutes before adding the mince. Cook until browned and all the liquid has evaporated. Tip in the baked beans, beef stock and chipotle paste. Simmer over a low heat for 15-20 mins. Season, scatter with coriander leaves and serve with rice and yogurt.